Posted on December 20, 2013 by Adam M. Gee, Esq. Vince Consiglio, president of ABATE Michigan, on his Harley-Davidson. The American Bikers Aimed Toward Education (ABATE) group in Michigan is taking on mandatory helmet law supporters in its state after looking at the latest motorcycle accident records available. According to a news report, the ABATE study says from 2011, before the mandatory helmet law was revoked, to 2012, when the law changed, fatalities dropped from 89 to 85 — a 4.5 percent reduction. Adjusting the data to show fatalities as a percentage of motorcyclists involved shows a decrease from 3.24 percent to 3.05 percent — a 5.8 percent reduction, the study also said. During those two years, the number of motorcycle registrations increased from 261,658 to 266,589, the study says. You can read the Michigan group’s report here. New York and Pennsylvania also have ABATE groups, if you want to learn more. The state said incapacitating injuries for this same period from a year ago are up by 14 percent — 441 in 2011 and 504 in 2012. “These figures will continue to change as additional crash reports are submitted by law enforcement agencies throughout the state,” the state’s safety experts said. This new evidence requires that we take a second look at our preconceptions. Everyone has always argued hat mandatory helmet use will decrease injuries. These statistics seem to indicate otherwise. I have always argued that the easiest way to increase safety for motorcyclists is for the drivers of cars and trucks to look for and see motorcycles. The ABATE Michigan president told the news media his group is standing by its numbers. Because 40 percent of Michigan motorcycle fatalities involve unlicensed or unendorsed motorcyclists, ABATE will continue its mission of teaching motorcycle rider education classes and going to driver education classes. 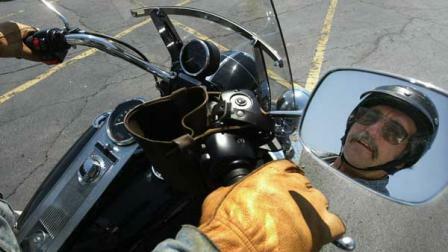 Consiglio offered tips for drivers to help keep motorcyclists safe on our roadways. 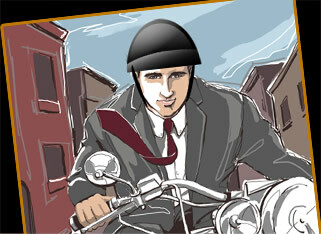 Remember, a motorcycle is a vehicle with all of the rights and privileges of any other motor vehicle. Always allow a motorcyclist the full lane width—never try to share a lane. Don’t be fooled by a flashing turn signal on a motorcycle – motorcycle signals are often not self-canceling and riders sometimes forget to turn them off. Wait to be sure the motorcycle is going to turn before you proceed. Allow more following distance – three or four seconds – when behind a motorcycle so the motorcyclist has enough time to maneuver or stop in an emergency. Avoiding riding in poor weather conditions. Using turn signals for every turn or lane change, even if the rider thinks no one will see it. Combining hand signals and turn signals to draw more attention to themselves. Taking and passing an approved motorcycle rider education class and getting endorsed. Thanks for reading, and please add your comments below on this important story. This entry was posted in Motorcycle Helmets, Motorcycle Laws, Motorcycle Safety, Uncategorized and tagged accident attorney, accident lawyer, Adam Gee, Adam M. Gee, American Motorcyclist Association, attorney, Elmira New York, Harley-Davidson, Helmet, Michigan, Motorcycle, motorcycle accident, Motorcycle helmet, motorcycle safety, Motorcycling, New York, new york motorcycle, New York motorcycle attorney, NY accident attorney, NY and PA motorcycle lawyer, NY biker lawyer, NY motorcycle accident attorney, NY motorcycle attorney, PA motorcycle accident lawyer, Pennsylvania, Pennsylvania motorcycle accident attorney, Twin Tiers. Bookmark the permalink.